Marsha Evans and the Coalition at the 1860 Saloon on Feb. 24. The band played blues, hip-hop and R&B songs during their performance. Marsha Evans is no stranger to the blues. 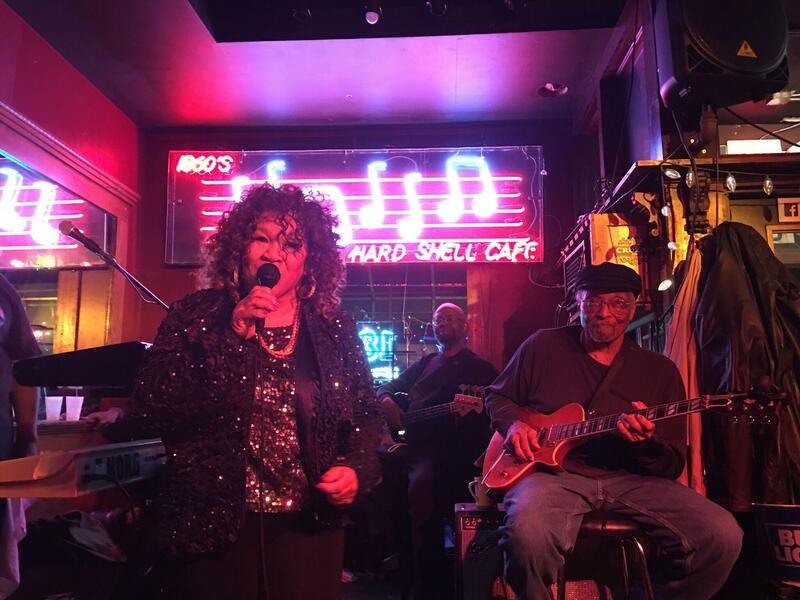 She has performed blues music all her life and can be found performing at venues across St. Louis with her band, Marsha Evans and the Coalition. But Evans doesn’t confine her passion for the blues to the stage. She’s a strong advocate for the music. For weeks, she and other musicians in the St. Louis region have discussed ways to honor the legacy of the blues and keep the treasured African-American art form alive. “You’re pouring your life in three or four minutes of musical expression — your innermost emotions, all of the pain you felt on any particular day for a number of months or years,” she said. Chad Davis speaks with blues musicians and enthusiasts about the genre's African-American legacy. For Evans, the blues is a family affair. She has long performed with her husband, acclaimed international bassist Jimmy Hinds. Both are quick to note that the blues — one of the foundations of North American popular music — rose from the African-American struggle for survival. To this day, Hinds said, people turn to the blues to deal with the joy and pain of everyday life. Bassist Jimmy Hinds performing at the 1860 Saloon. He is the band leader for Marsha Evans and the Coalition and is the husband to Evans. Throughout February, local musicians, scholars and fans have participated in a series of roundtables on the blues at KDHX. The discussions focused on ways to preserve the blues legacy as an original black art form that has been borrowed by white musicians such as The Beatles, The Rolling Stones and Elvis Presley. Blues musicians and enthusiasts in St. Louis want to make sure that black artists are acknowledged and respected. Norman has been immersed in the genre since she was a child, and first learned about music from her grandfather, who instilled her with a respect for the tradition and its importance to African-American culture. The music that emerged in the Mississippi Delta became the sound of sharecroppers who migrated north, Norman said. The music served as a well from which the creators of a variety of African-American styles drew inspiration. In St. Louis, the music developed into a piano-based sound that evolved from St. Louis ragtime musician Scott Joplin in the early 20th century. In the decades that followed, other musicians in the region also drew from the blues. Bernie Hayes is the curator of the Don and Heide Wolff Jazz Institute at Harris Stowe University. 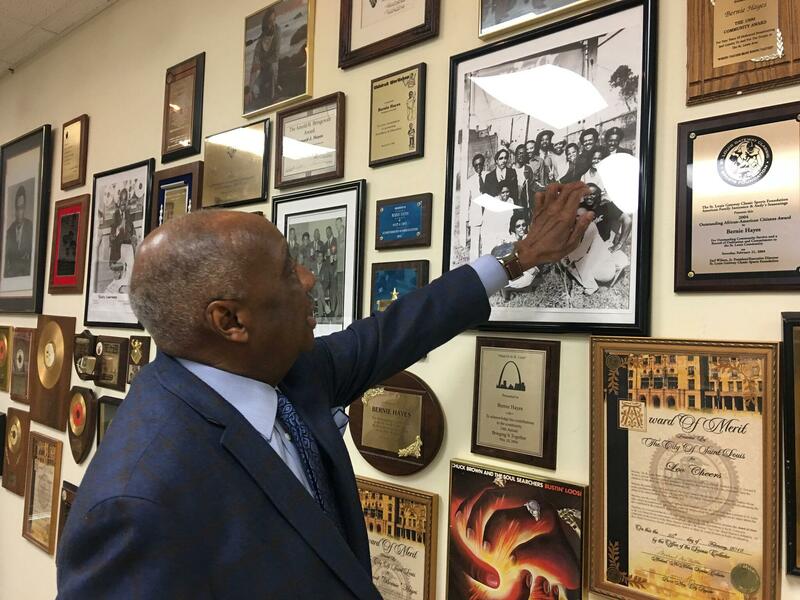 Here he shows a photo of him and other black DJs who paved the way for many black musicians in the city. The blues remains significant because of the importance it holds in the black community, said Hayes, curator for the Don and Heide Wolff Jazz Institute at Harris Stowe University. But Hayes said black musicians often saw their music used or adopted by others. He hopes black artists retain connections — and a sense of ownership — to the art forms they create. For Marsha Evans, the future of the music may lie with its ability to reach younger audiences. When she performs, she works R&B songs and hip-hop influences into her performance to show fans how black popular music has long been interconnected. The National Blues Museum in St. Louis will soon be looking for a new executive director. 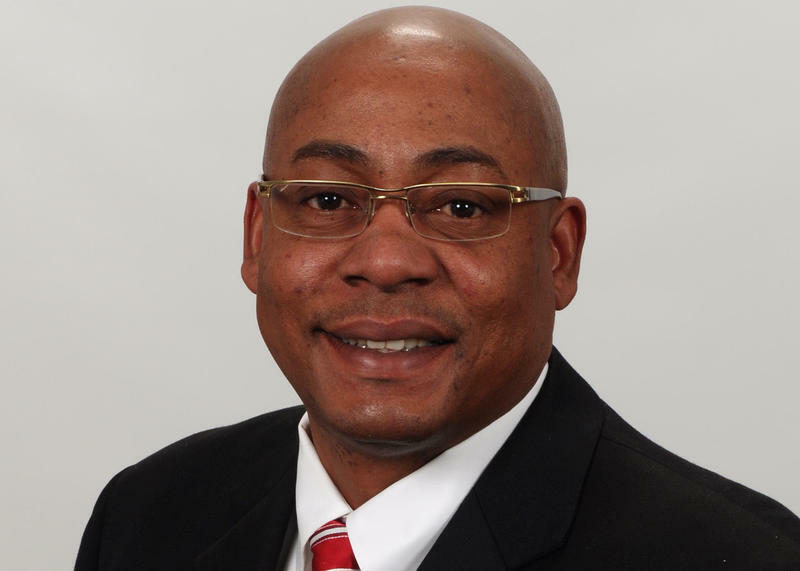 Dion Brown, who has led the museum for two years, is leaving to become president of the National Underground Railroad Freedom Center in Cincinnati. He departs in mid-February. 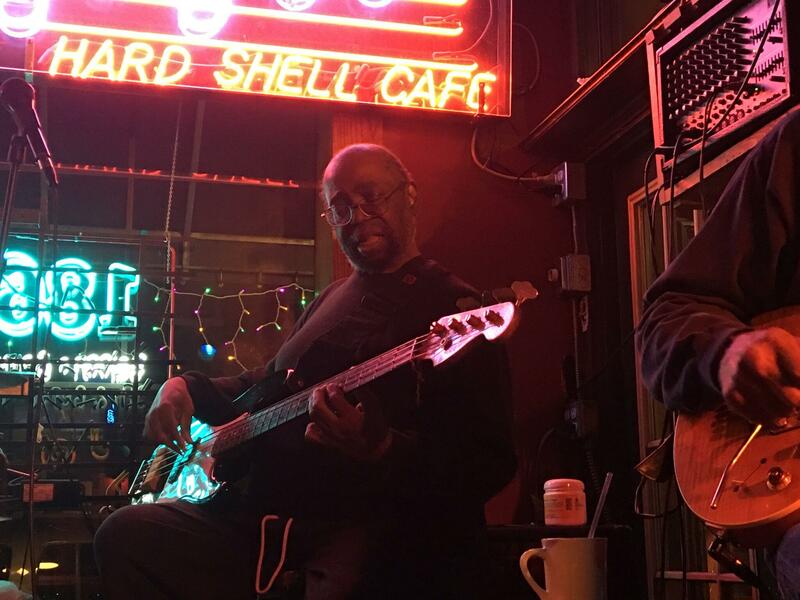 On Thursday’s St. Louis on the Air, host Don Marsh talked about a St. Louis themed variety show featuring blues music, comedy and discussions about life in a divided city.